CHARLOTTE AMALIE — Gov. 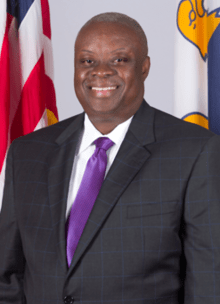 Kenneth Mapp this weekend honored the memory of those who have served the Virgin Islands and United States in military service and lost their lives. Mapp, who served as a police officer in New York City and worked as a bodyguard for Gov. Juan F. Luis in the territory, said that he was sympathetic to everyone who has put their life on the line in service to their country.